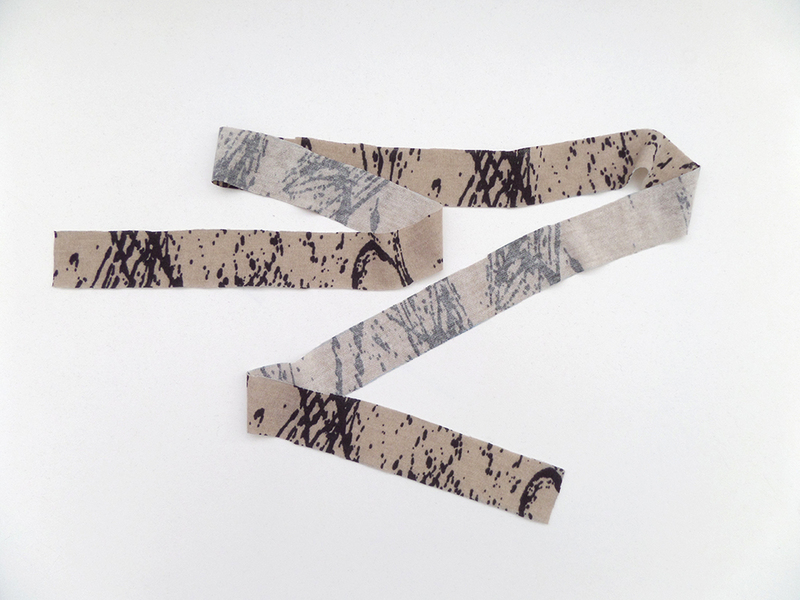 ← The Rutland Collection – Make Your Own Infinity Scarves, Alice Bands & More! If you’ve recently bought (or been given!) 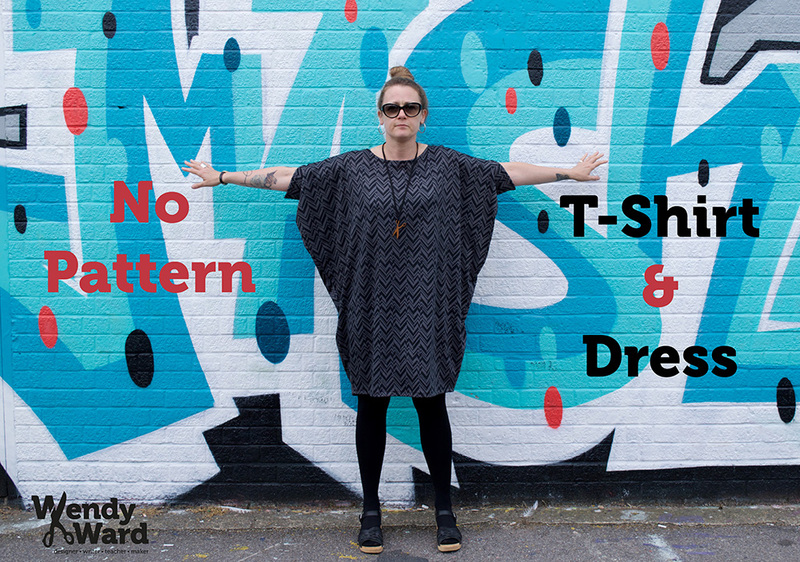 an overlocker and want a quick easy project to find your way around it, try my no-pattern t-shirt and dress. Quick to sew and easy to wear, we’ll also use your regular sewing machine for some parts but the main making can be done on your overlocker. If you don’t have an overlocker, just use your regular machine instead for everything – I have lots of tutorials for sewing knits on a regular sewing machine on my blog here including recommended settings for sewing seams and hems. I chose knitted fabrics for my samples; a single jersey for the t-shirt and a ponte roma for the dress, both from Girl Charlee. Knits sew up well on an overlocker and have a nice drape, which suits this design. You can use a woven fabric if you prefer: satin or crepe would both work well and I think the dress would look great in a soft lightweight denim. 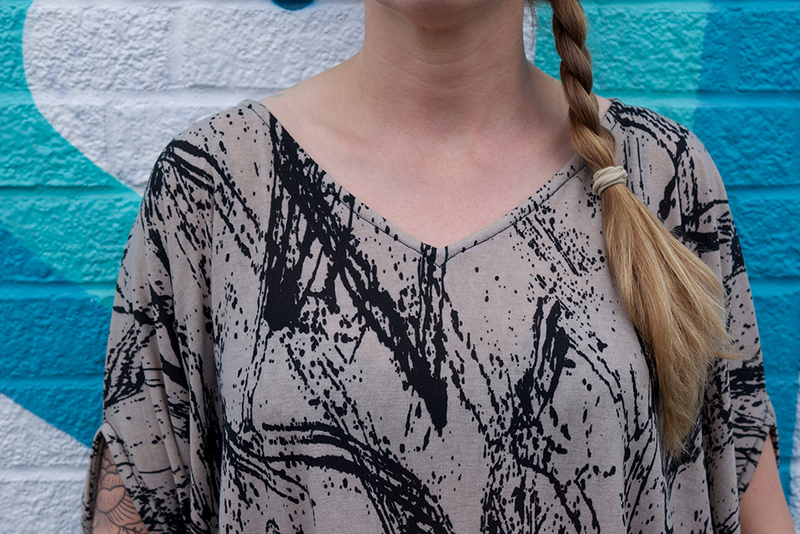 Woven or knitted fabric that is at least 114cm wide: 1.4m for the t-shirt, 2m for the dress. Matching colour thread – enough for your overlocker and your regular sewing machine. For lighter weight fabrics such as single jersey – iron-on stay tape (Vilene tape) or lightweight iron-on interfacing cut into strips. 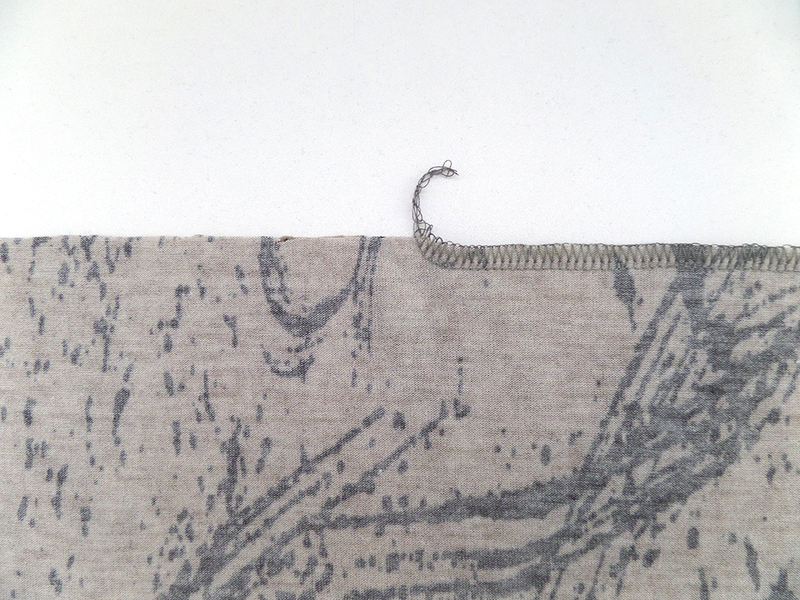 Cut a 3cm wide facing strip of fabric at least 1m long; if you’re using knitted fabric the length of the facing strip needs to run across the width of the fabric, if you’re using woven fabric cut this strip along the bias*. 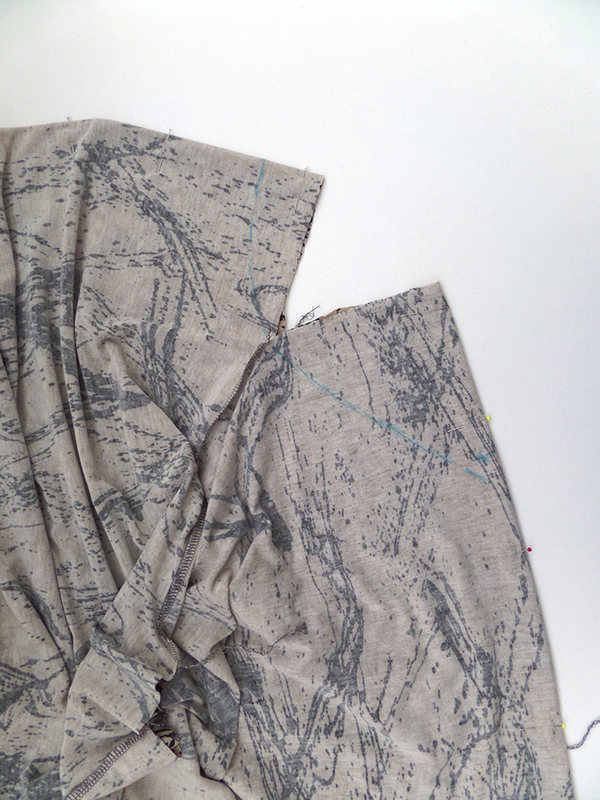 * For an economical way of making a long continuous piece of bias from a small piece of woven fabric, have a read of my blog post “How to Make Continuous Strip Bias Binding”. Place your 2 pieces of fabric together with the right sides touching. Pin together down the 2 sides and across the top. Machine the sides (numbered 1) and across the top machine the shoulders (numbered 2) leaving gaps of 18cm for the armholes and 24cm for the neck as shown. 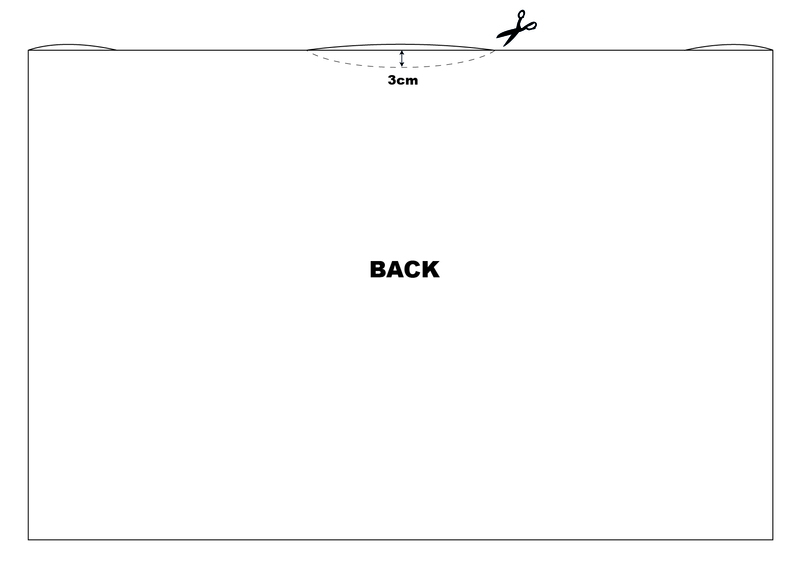 If you’re making the dress and want a tapered hem like my sample bring the side seams in by 25cm at the hem as shown above. When machining the shoulders, make sure you taper your overlocking off the edge of the fabric. Press your seams: if you’re using an overlocker (or mock overlock stitch on your sewing machine) press them to one side, if you’re using your sewing machine and a woven fabric, neaten the seam allowances then press open. 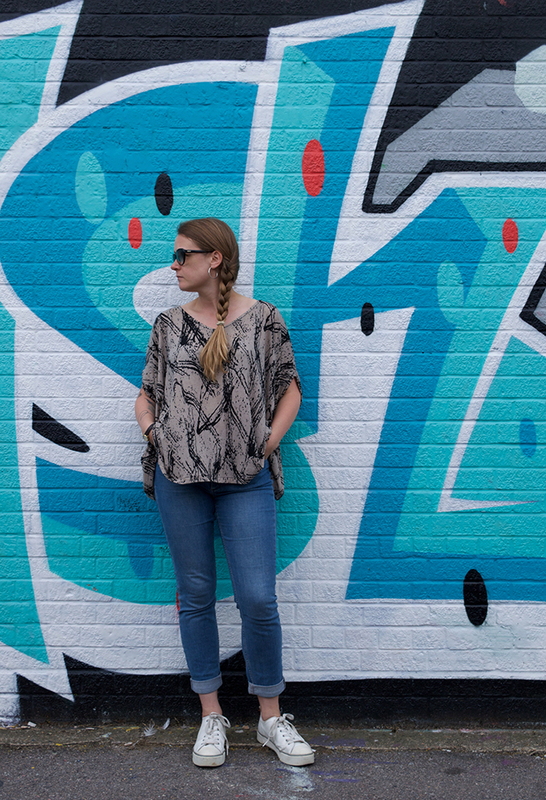 Try your garment on and decide what shape you want the front and back neck to be. Here are some guide measurements for a boat neck and V-neck like mine. 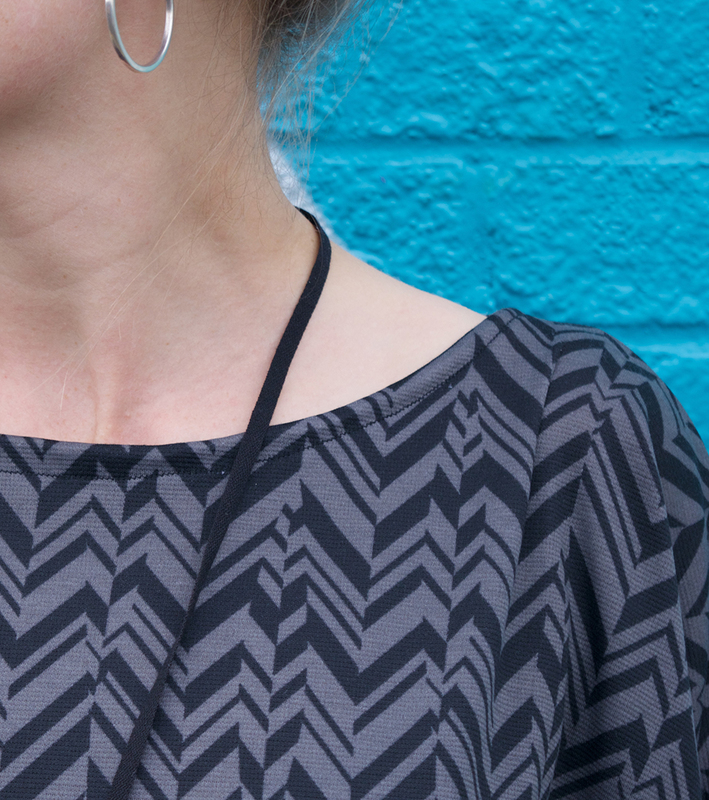 Fold the neck in half with the shoulder seams lining up to make sure that you shape the neck symmetrically. You’re now ready to finish the armholes and neck with your facing strip of fabric you cut earlier (cut across the width of knitted fabrics and cut along the bias of woven fabrics). 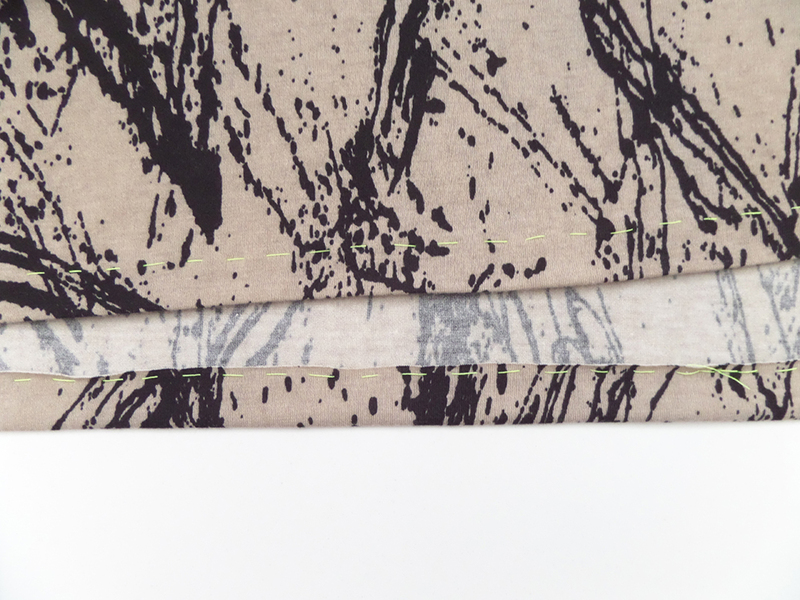 If you’re using woven fabric, have a read of my guide to making continuous strip bias binding. If your fabric is very lightweight and stretchy, reinforce the neck with some iron-on stay tape ironed onto the wrong side of the fabric with the edge of the tape level with the edge of the fabric. 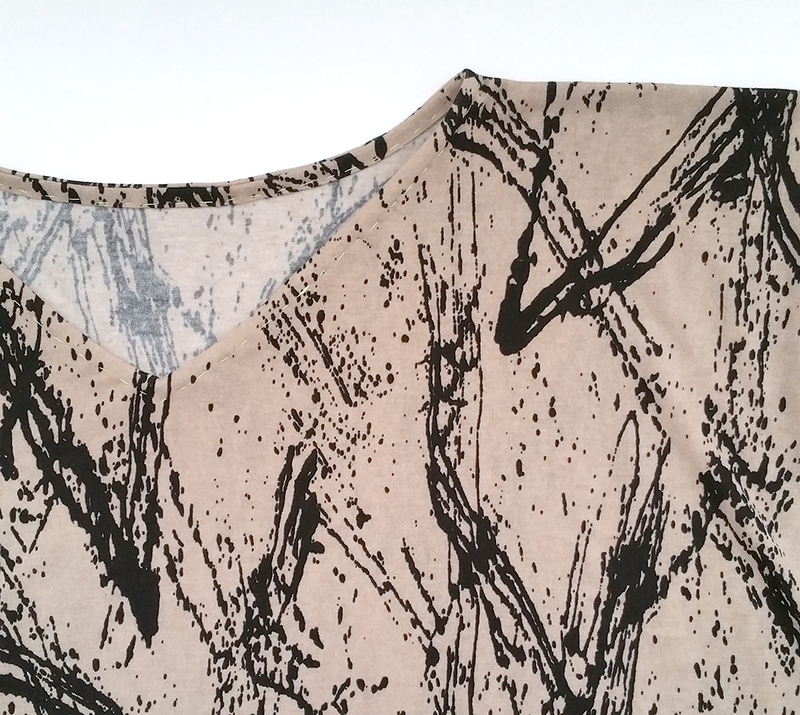 If you can’t find iron-on stay tape cut a 1cm wide strip of lightweight iron-on interfacing and use that instead. Press under approx. 1cm at one short end of your facing strip. Then fold the strip in half along the length with the wrong sides of the fabric touching. With your garment right side out, place the facing strip (starting at the folded in end) onto one of the armhole opening edges with all 3 cut edges of fabric level. Pin in place. When you have pinned around the armhole and get back to the beginning of your strip, cut your facing strip so that it overlaps by approx. 1cm and unpin the beginning of the strip so that you can tuck this end inside the beginning. 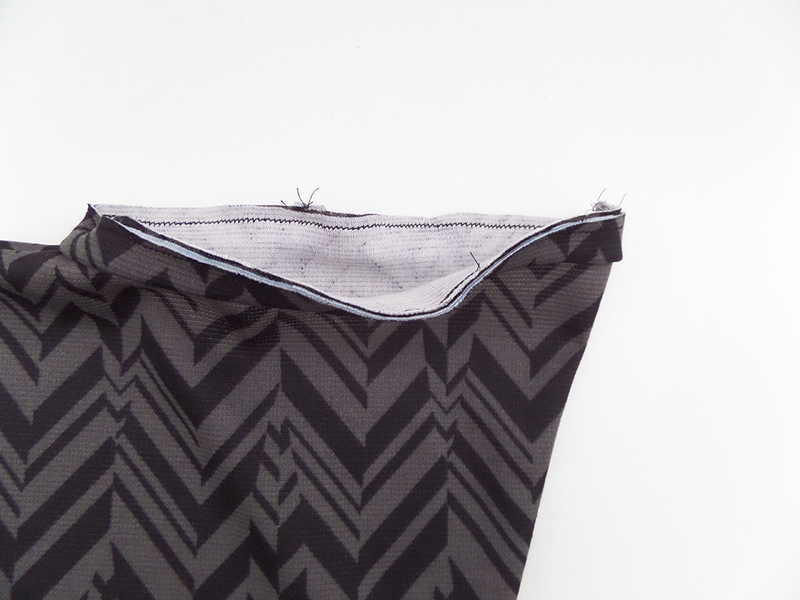 Machine in place using a 0.5cm seam allowance (this is best done on a regular machine with a straight stitch). 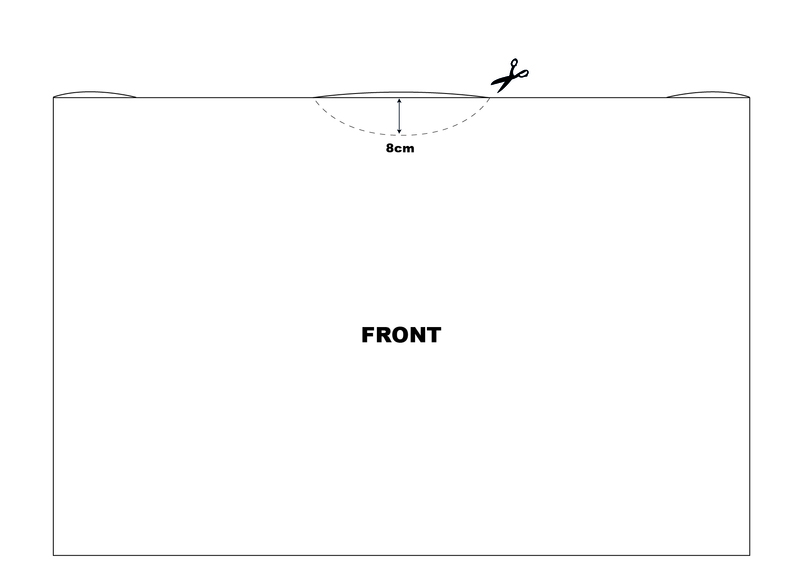 Press the facing strip away from the garment and fold in towards the wrong side of the garment. Pin and tack in place. Machine with a regular straight stitch from the right side of your garment using the tacking stitches as a guide. Repeat 8 to 13 for each armhole and the neck. To hem, turn up 2cm press and/or pin and tack in place and machine. For knitted fabrics: if you have a tapered hem you will need to use a stretch stitch such as 3-step zig-zag or stretch straight stitch, hems without the taper can be done with a twin needle. 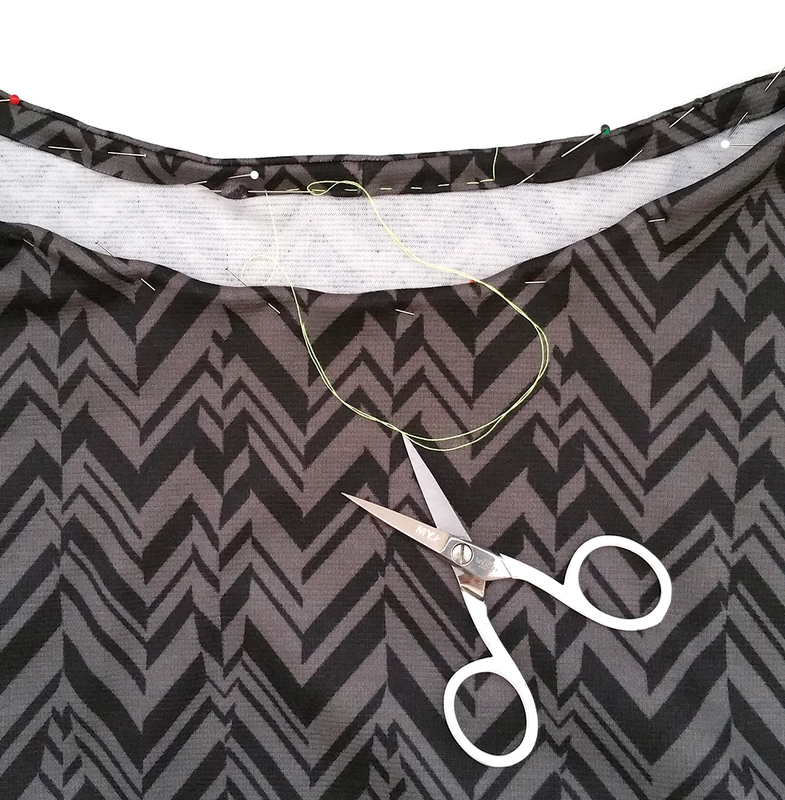 For woven fabrics: turn the hem 1cm twice and stitch in place or use bias binding. 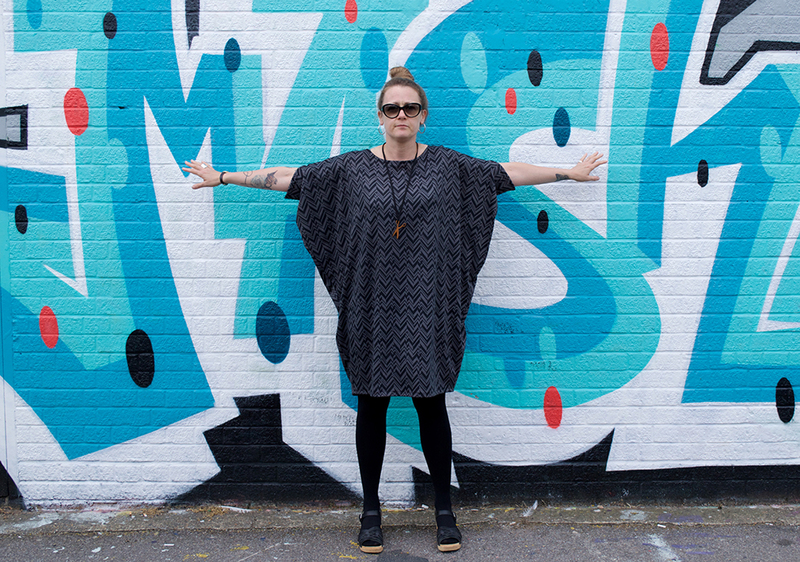 This entry was posted in NO PATTERN t-shirt & dress, Sewing Patterns by Wendy and tagged free dressmaking project, no pattern dress, no pattern t-shirt, overlocker project, Sewing With Knits, Wendy Ward, zero waste fashion, zero waste sewing. Bookmark the permalink.